The newly launched Wiko Darkfull is a very powerful and high-end device with a full HD resolution screen, quad core 1,5GHz processor and 2GB of ram with a 13 MP camera. The reason that the user root device is to make it more functional and get the most out of it. Basically if you want to use your phone in its full power you need to root your device then install apps for rooted device. You can overlook your phone’s clock speed, change fonts, uninstall bloatware, change bootanimation and many more once you have rooted your phone. So you want to root your Wiko Darkfull but aren’t sure how to do it? Well XDA Developer alephzain has made it very easy for you. Download The Framaroot app and Install the Framaroot tool .apk file you have downloaded earlier on your phone. Enable the installation option from unknown sources if asked. 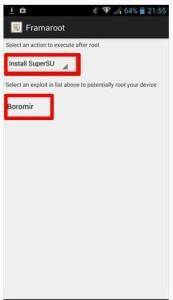 There you will find a button probably named as Boromir, so tap it once & wait for few moments. Once your device is started, open the “app drawer” and check for the “SuperSu” application installed or it. If it’s installed then your device is rooted successfully. 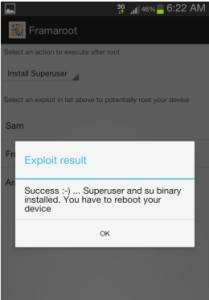 So, in this way you have successfully rooted the Wiko Darkfull phone. Do let us know just in case if you face any issues in the comments section below so that we can act on the same at the earliest. This is done directly on the Wiko darkfull? You can ensure that the rooting is done, by downloading the Root Checker app which is available on the Google Play Store.